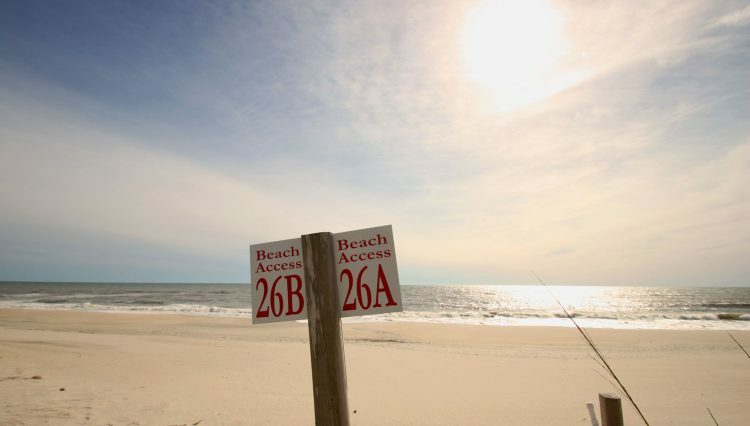 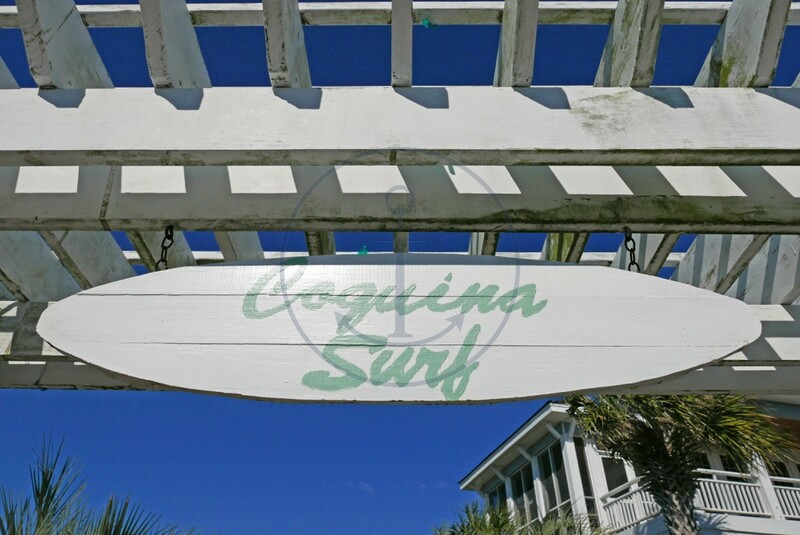 Coquina Surf has both BHI Club and Shoals Club memberships options available for separate purchase. To acquire, contact the clubs directly at least a week in advance: BHI – lobby@bhiclub.net and shoalstemp@bhisland.net. 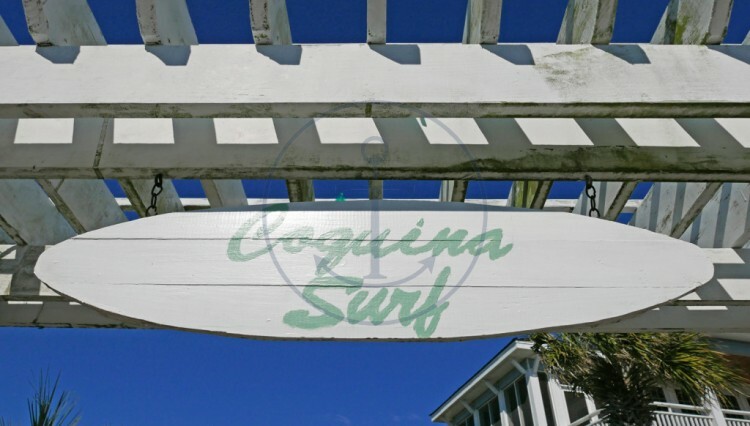 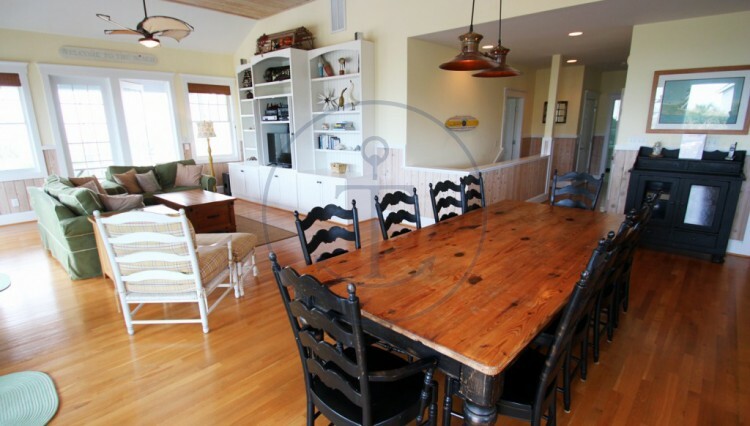 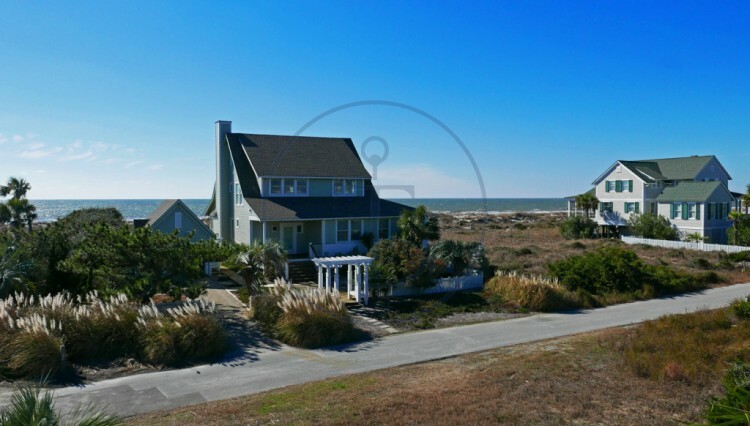 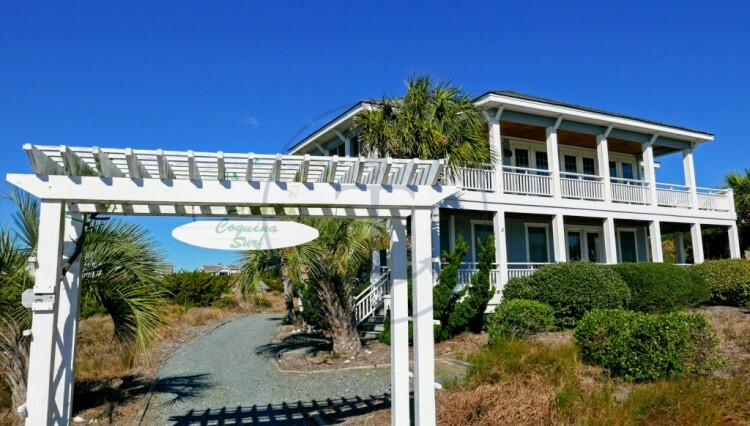 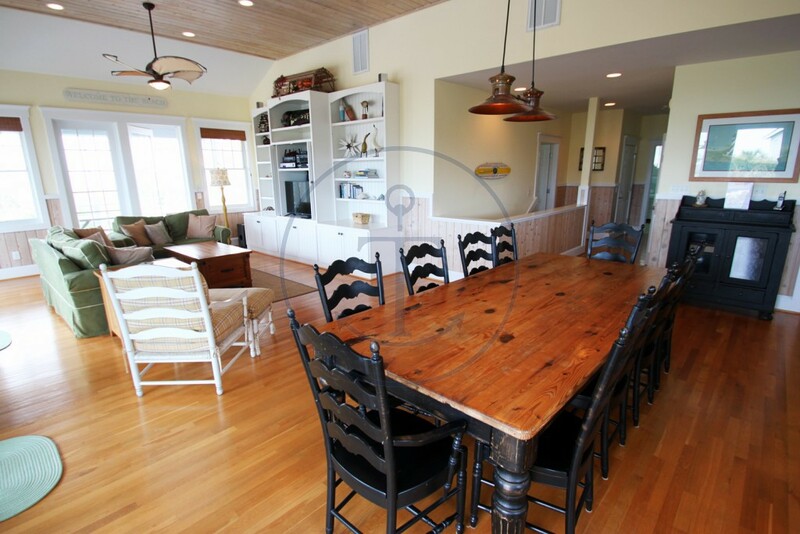 Coquina Surf is an amazing home with a wonderful location and fantastic ocean views. 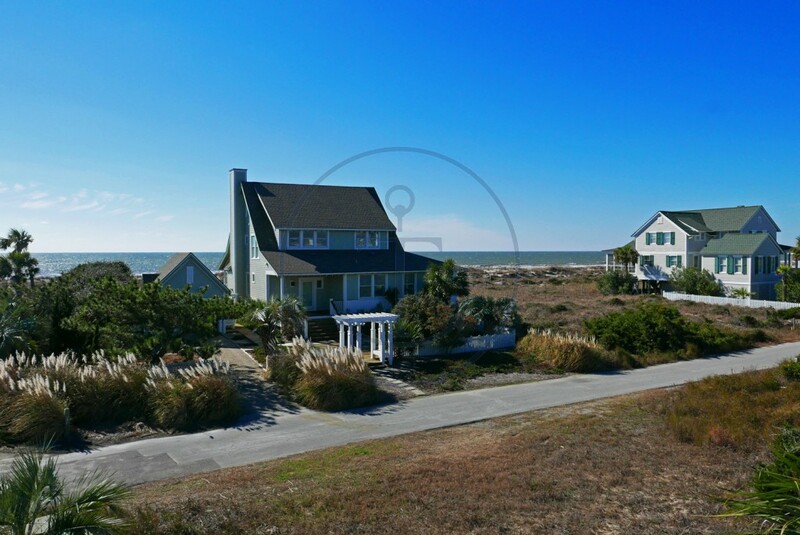 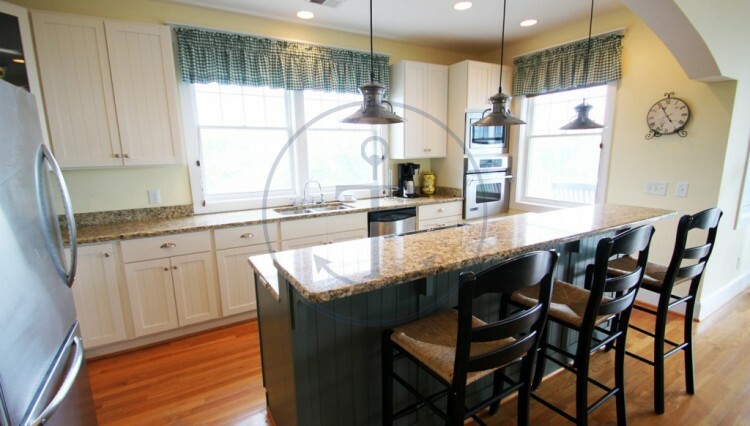 There are 5 bedrooms and 5.5 bathrooms that accommodate up to 12 in this custom-built home. 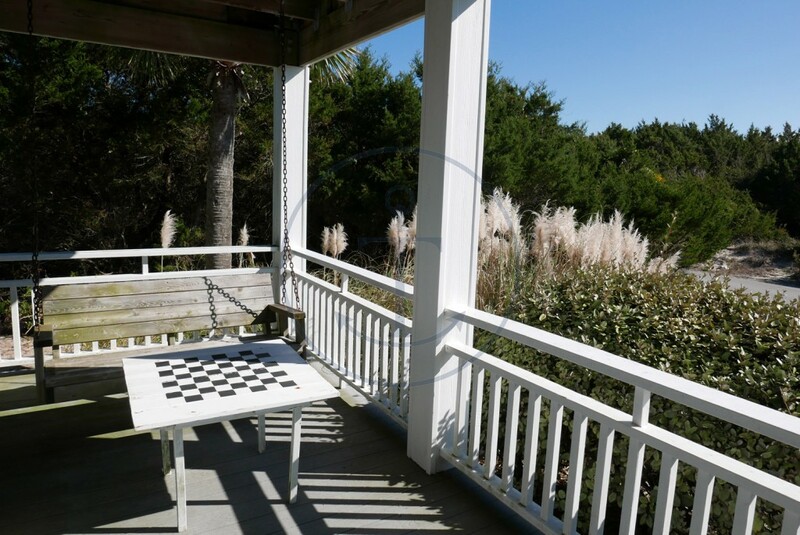 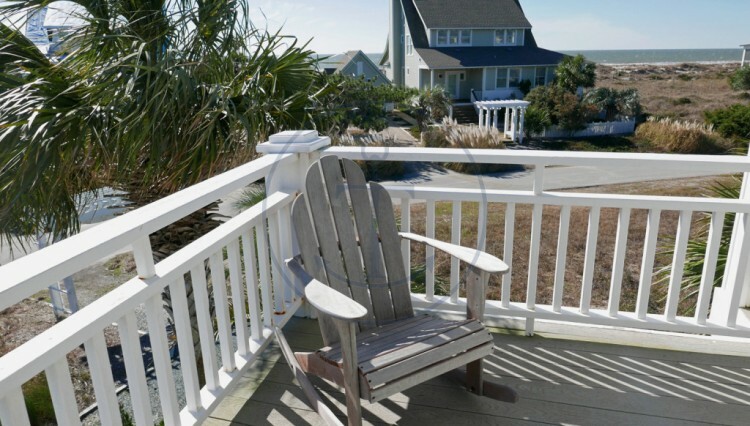 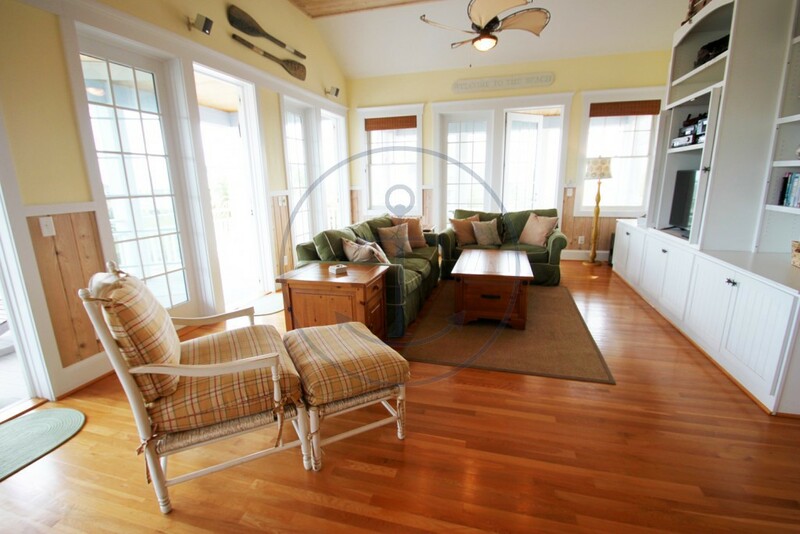 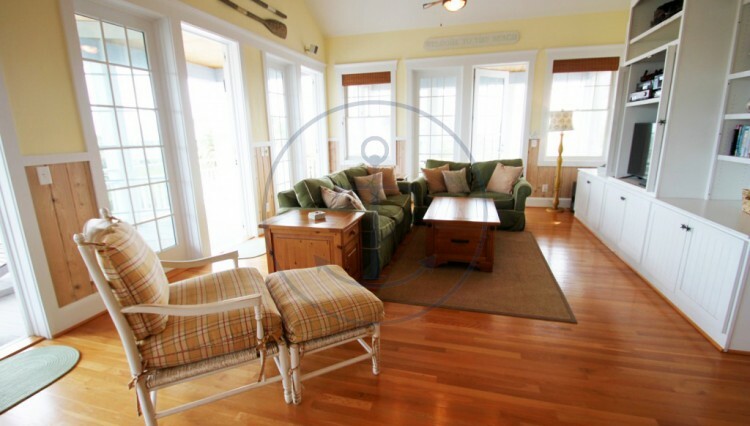 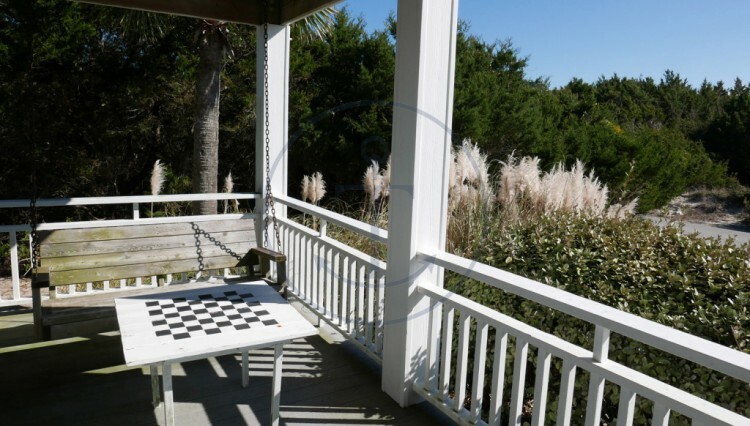 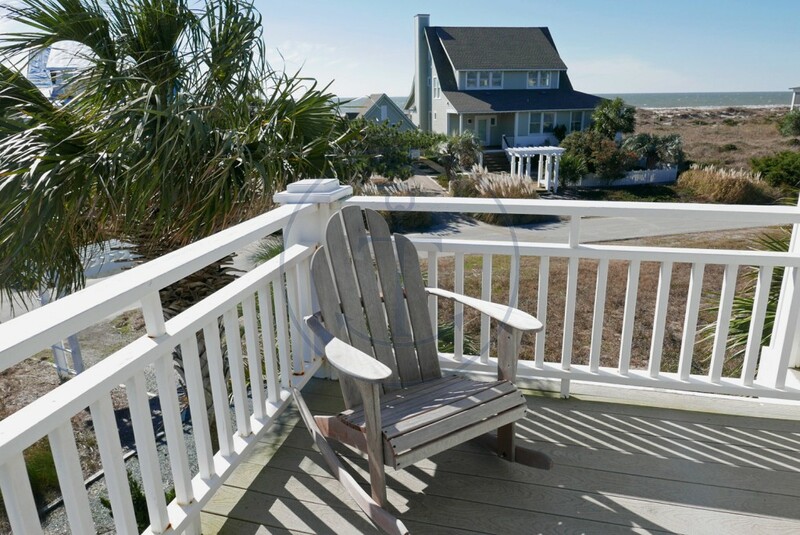 A reverse floor plan allows for you to take in those sweeping ocean views the main living space, or sit on the covered porch and feel the ocean breeze on your face. 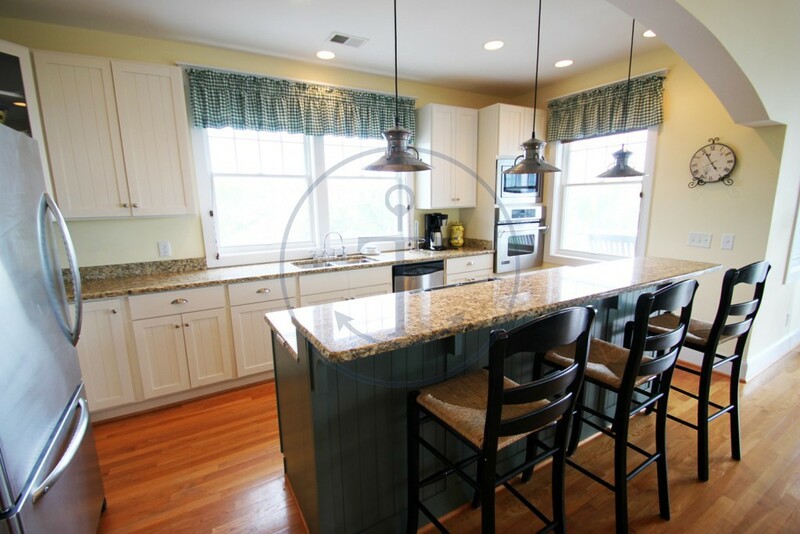 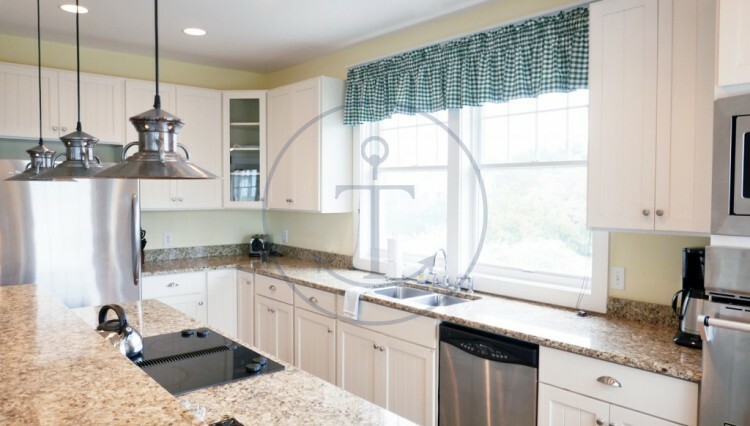 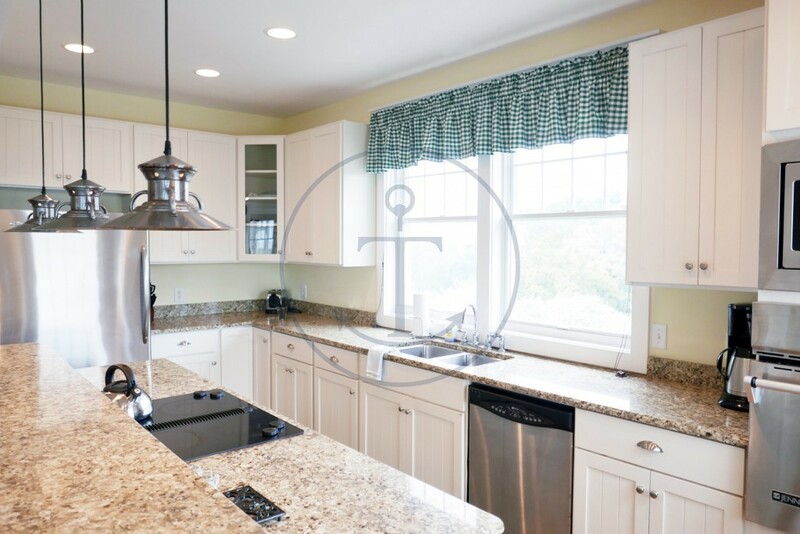 Walk back inside to this fully functional and equipped kitchen with granite countertops and stainless appliances that make preparing meals for your family a fun! 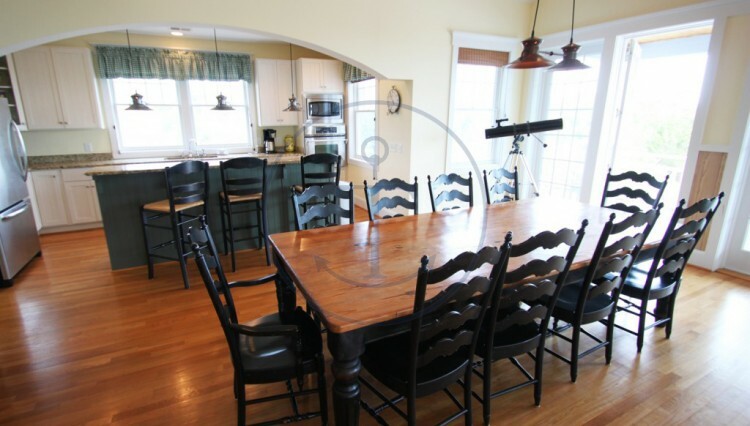 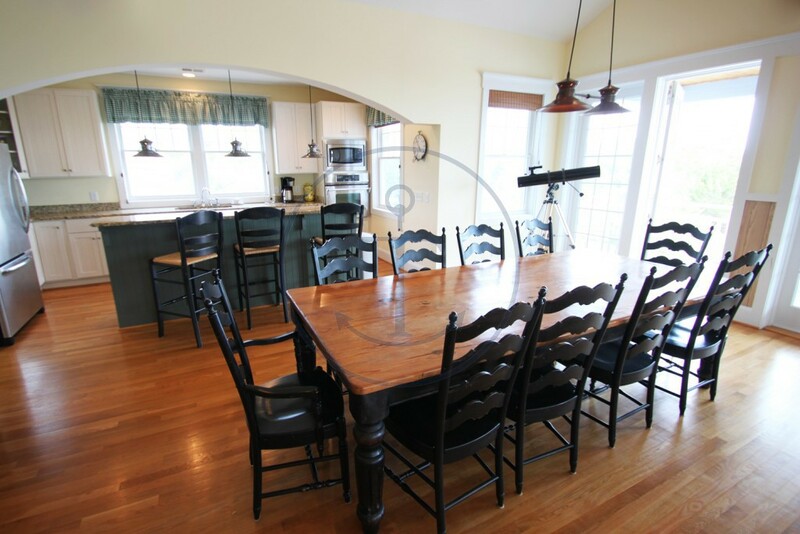 Extra-large dining table fits your whole group with ease. 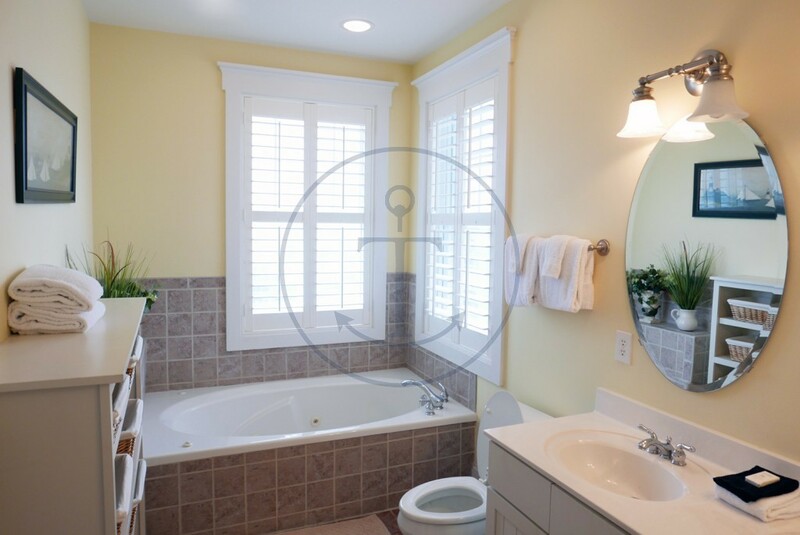 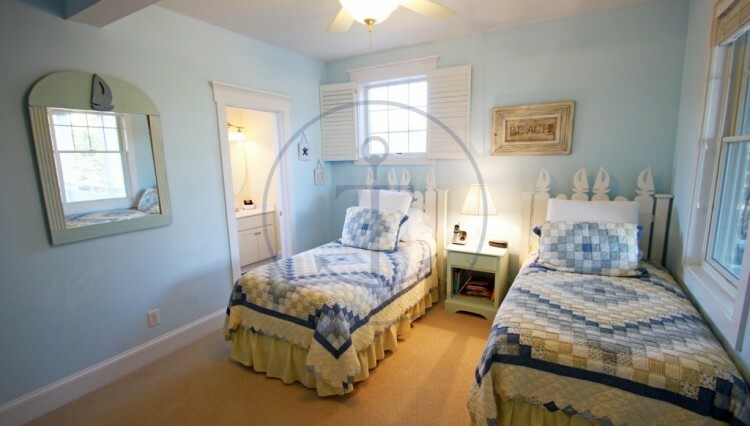 Each bedroom has its own bathroom, and is tastefully and thoughtfully decorated. 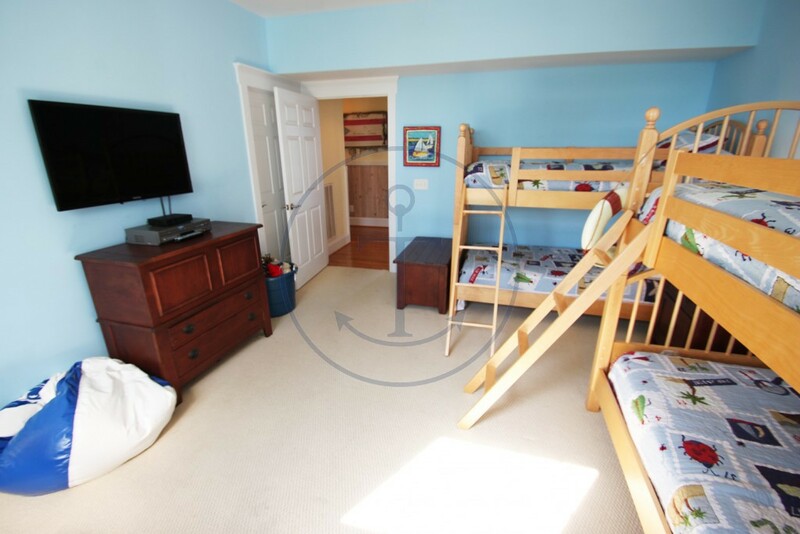 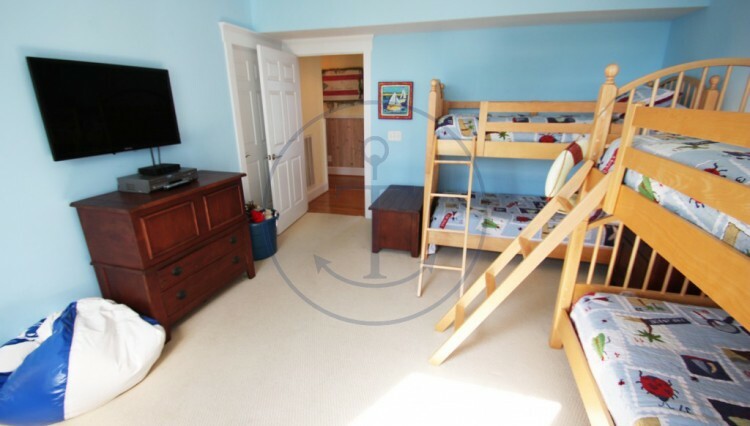 Located on the first floor, there is a King, 2 Twins, and 2 sets of bunk beds. 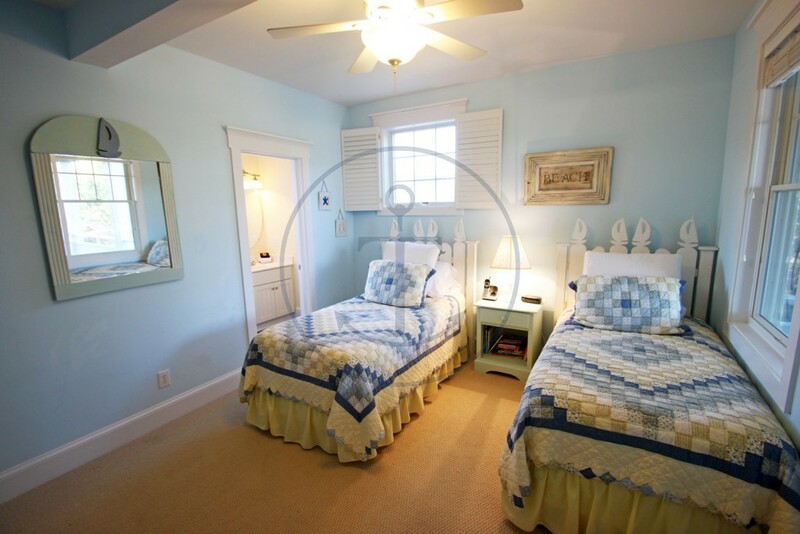 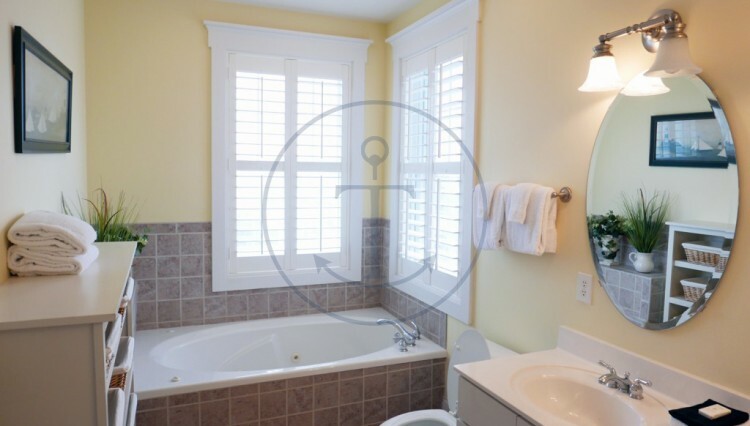 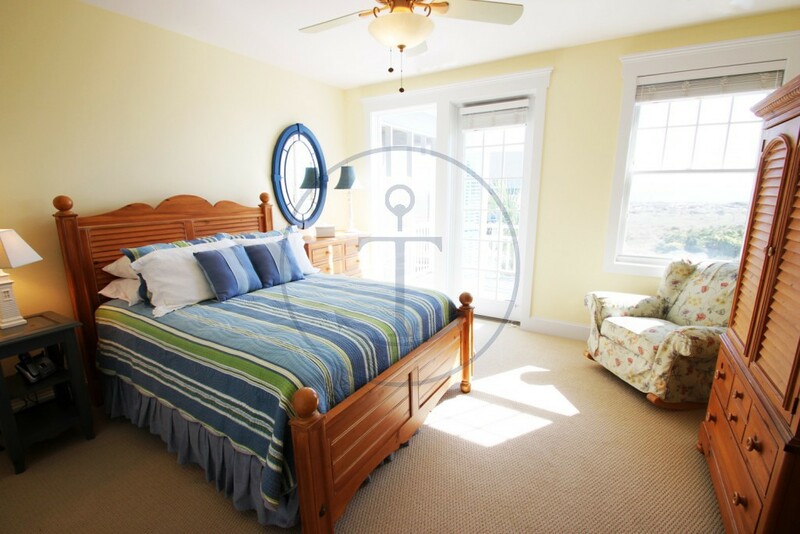 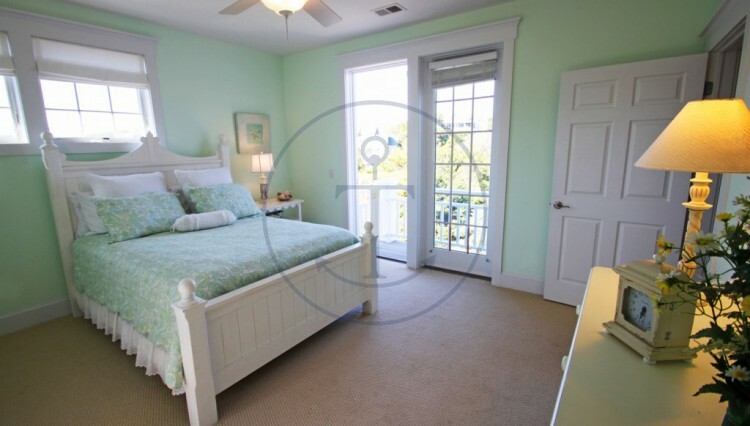 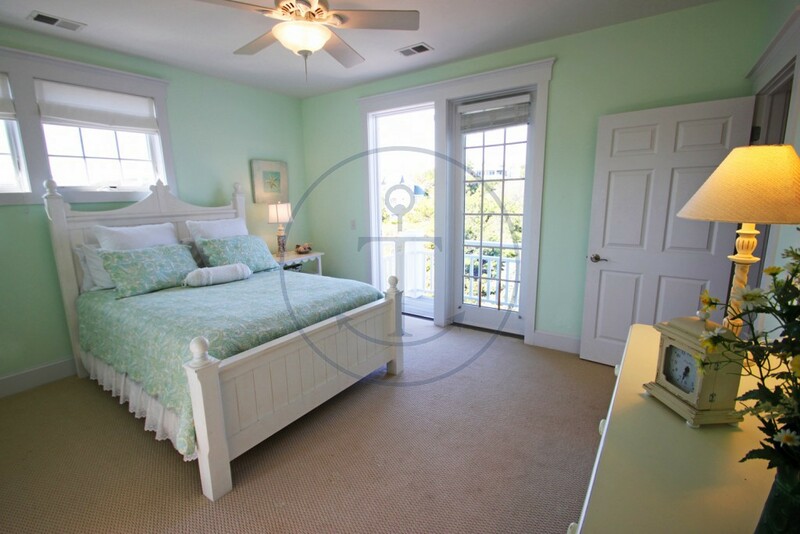 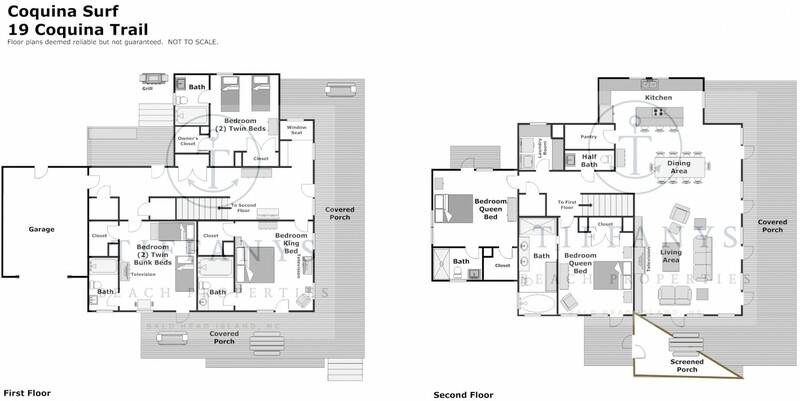 Upstairs, there is a Queen bedroom with ensuite and soaking tub, as well as a second Queen bedroom. 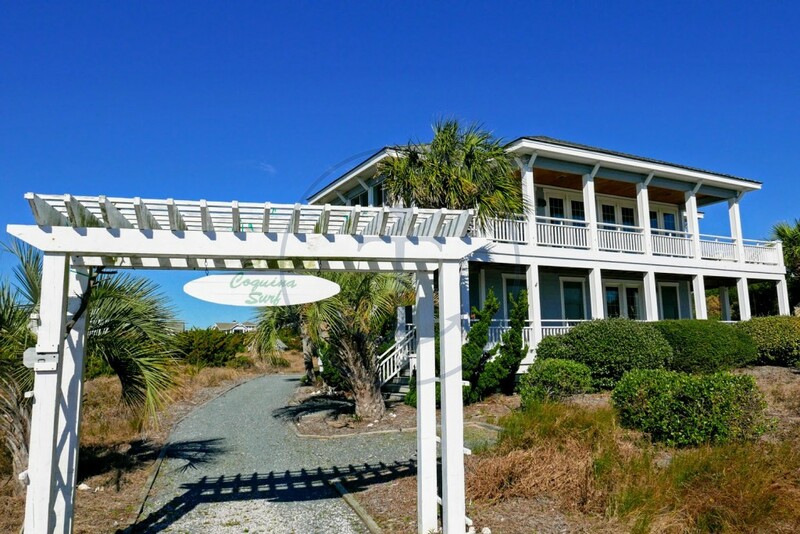 This property has wireless internet access, a DVD player, 3 televisions (including one large TV in the main living room), a screened in porch, and 2 outside showers, and 2 golf carts. 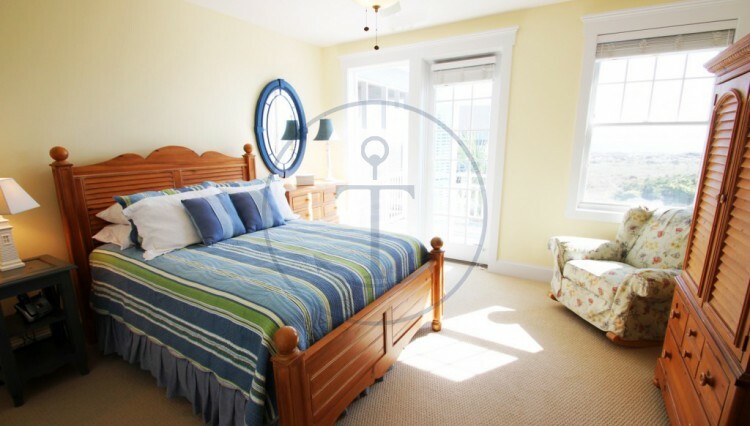 Each of our rentals includes bed and bath linens, a kitchen towel, and bath mats.